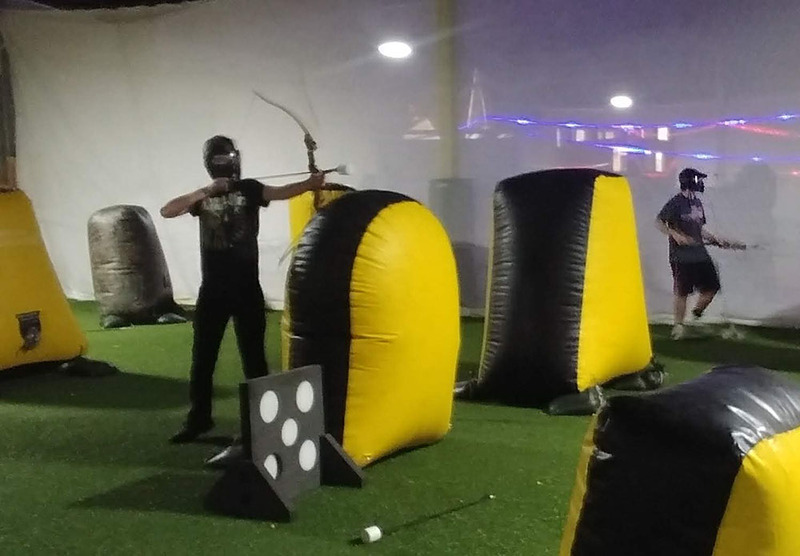 Archery Tag is a game in which players try to hit each other with a bow and foam tipped arrow. Players shoot foam tipped arrows at opposing team members. When an arrow strikes any player or a player’s equipment (bow, arrows, mask), that player is deemed “out”. If a player catches an arrow, the shooter is deemed “out”. A player deemed “out” may return to the game if: A teammate knocks out one of the foam circles from the opposing team’s 5-spot target, or catches an arrow shot from opponent’s bow. 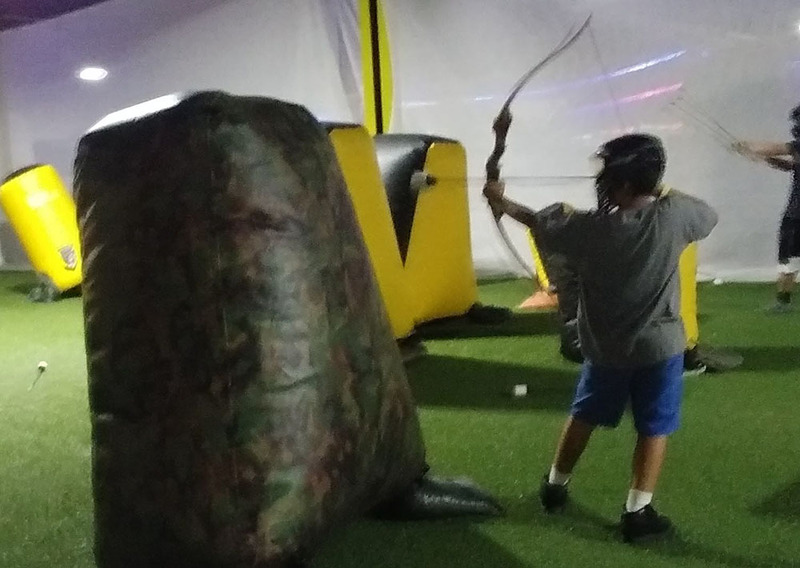 Ages 7+ At the beginning of an archery tag game, the foam tipped arrows are lined up on the central dividing line. The referee blows the start whistle and players then simultaneously rush towards the center line from the starting wall and try to get one of the foam tipped arrows. Players then shoot the arrows at their opponents while dodging being hit from the same. If a player is hit by a foam tipped arrow he/she is eliminated and must move to his team’s designated sidelines. Players can also shoot the foam circles out of their opponent’s foam block. 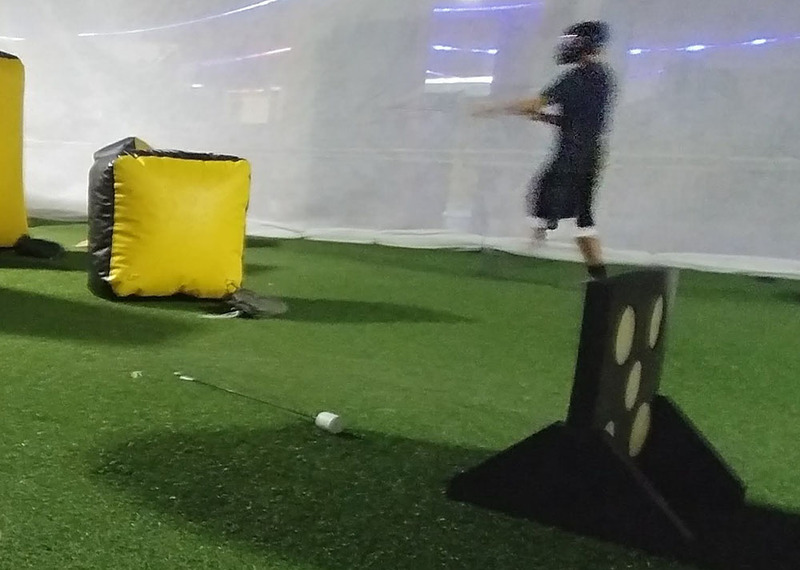 Each time a circle is removed, a player from the shooting team allows one eliminated teammate back into the game. If all 5 circles are removed, the shooting teams wins! Games are 10 minutes long. The team with the most players standing at the end time wins ! ! ! What is it Like ? Full Session – Available via POP. All games are 10 minutes long. The only equipment needed is Face Mask, Bow and Foam Tipped Arrow. These items are included in the pricing. 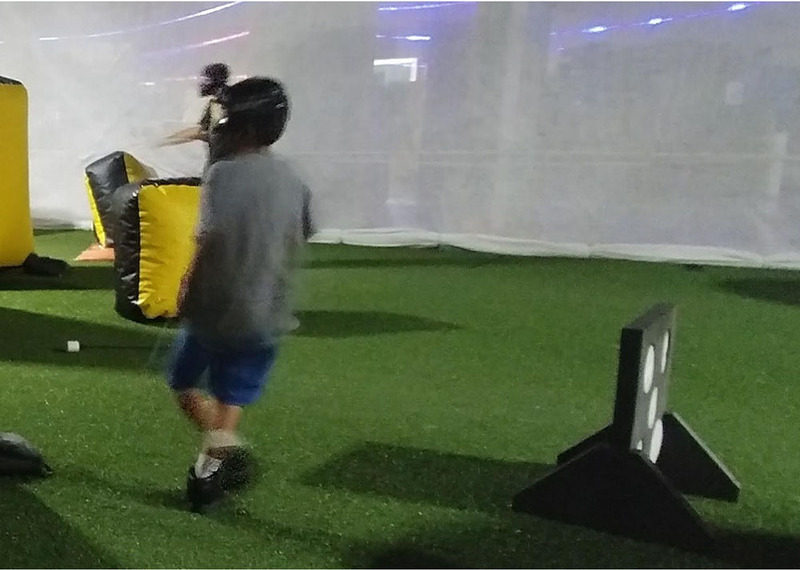 * Sports included Lazer Tag, Splatmaster, Dart Warz, and Dodgeball ! ! ! fri26aprAll DayReceive $15 Game Card for just $10 with any POP or POP Jr. Purchase ! !